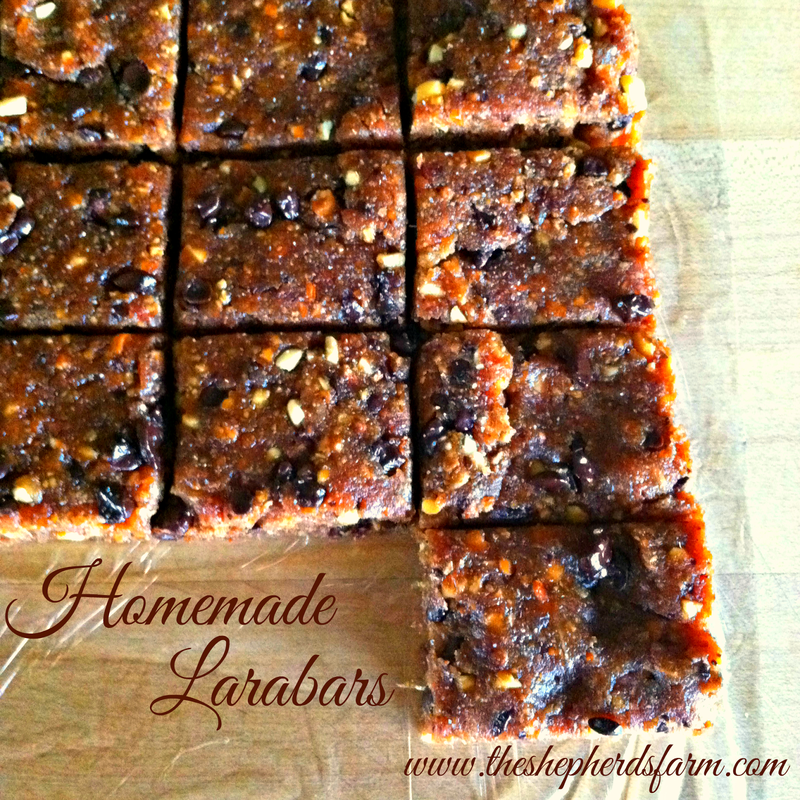 Homemade Larabars. So good and so easy. 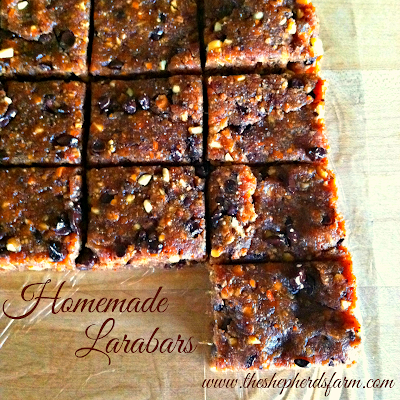 I had quite a few recipe requests for the homemade Larabar picture I posted on Instagram this morning and so I decided to post the recipe here. (If you have an instagram account, go HERE) I have loved Larabars for a while, but their pretty spendy. Plus, I just love homemade food. It tastes better and is more than likely better for you. Hence me looking at the ingredients on the back of the package and thinking, "I could totally make this." I was right. These bars are so moist and delicious that they put their store bought counterparts to shame. I know I'm a bit biased, but seriously these are tasty! Just a disclaimer, I followed no recipe and when it comes to amounts of ingredients used, this recipe is completely original. I hope you love these as much as my family and I do! 1. Put a few slits in each date and then soak them in hot water for 10-15 minutes. The skin will easily come off and of course, take the pit out. 2. Next put half of your dates in a food processor and process until the dates are mush. It's ok to have a few chunks here and there. Put the mush into your kitchen aid (or other mixing bowl) and process the second batch of dates. 2. Once all dates have been puréed put them into your kitchen aid mixer and add the peanut butter. Mix thoroughly together. ***I would have added more peanut butter but didn't have enough. If you like peanut butter a lot then add a little more. 3. Next put 1 1/2 cups of your toasted almonds into your food processor and purée them until they are finely ground. Add the ground almonds to your date and peanut butter purée and mix. This is where preference comes in. Do you want your bar to be moist? Don't add more than 1 1/2 c almonds. Want your bars to be a little more dry? Add more ground almonds. Simple. (Just be sure to not add too many ground almonds. You want your bars to hold together and not crumble.) I made mine to be not really sticky when you touch them, but they are most definitely not dry. They are nice and moist. 4. Put your chocolate chips in the processor and grind them up until they are a quarter of their original size. (Again, this is preference too. If you want your bars really chocolate-y add more and so on.) Add to the mixer and combine. Taste your batter and you can see if you want to add salt or not. I added a few shakes from my salt shaker. 6. Refrigerate for an hour. Once cold, pull the fruit purée out of the pan using the Saran Wrap and cut into desired sized bars. Store bars in fridge. 7. Try not to eat them all at once! I hope you enjoy these and let me how how they turn out! what an interesting recipe & flavour combination! thanks for the ideas!